I like to bake breads, so it’s important to learn all about wheat flour, or at least get the basics of what you use most. That, for us, is wheat flour. Since I’ve discovered the woes of bleached flour I have tried to wean my family onto more healthy alternatives. To make myself do this, I literally mix half wheat, half unbleached white into a large container. Almost all my recipes dip right out of this container. I, by accident, ordered the correct wheat flour for baking breads. A friend was trying her hand at baking and could not figure out why all of her breads were turning out flat and dense until looking into the type of wheat flour. That caused me to look much deeper into the different types of flours and what they are best used for. The bran is the hard outer shell that covers the wheat berry. An excellent source of fiber, the bran also contains most of the minerals. Because the bran has sharp edges, which interfere with gluten development, it is removed during milling–and then often added back in later. The germ is the part of the grain that would become the plant. Wheat germ is very high in protein and B vitamins. It is removed in the milling process because its high fat content causes the flour to become rancid more quickly. Wheat germ should be stored in the refrigerator. The endosperm is the food that the seed would consume on its way to becoming a plant. The flour that we use for baking, unless it is whole wheat, has had the germ and the bran removed. The remaining endosperm is composed mostly of starch and protein. All Purpose Flour – is made from soft and hard wheat. Although some may say bleached white flour makes better pastries, when flour is chemically bleached, some of the protein is removed, not to mention the chemical contamination. If you want to buy white flour, at least buy the unbleached white which has been bleached naturally over time. Bread Flour – flours labeled as “Bread Flour” are made with hard wheat. It has a higher gluten (protein) content than soft wheat. It is sometimes conditioned with ascorbic acid in order to increase volume and make a smoother texture. Ascorbic Acid is not vitamin C, but simply one aspect of vitamin c, and chemically made. Cake Flour – this is a soft wheat flour with the least amount of gluten. It has gone through a chlorinating process (a bleaching process) that leaves it slightly acidic. It distributes the fat more evenly throughout the batter so that fine textured cakes will not collapse. Pastry Flour – Is also made of soft wheat and has slightly more protein than cake flour. Self Rising Flour – This is a low gluten, soft wheat flour with baking powder and salt already added. Baking powder note: There has been insufficient research on the impact of aluminum in our diet. Some believe that it is linked to Alzheimer’s. 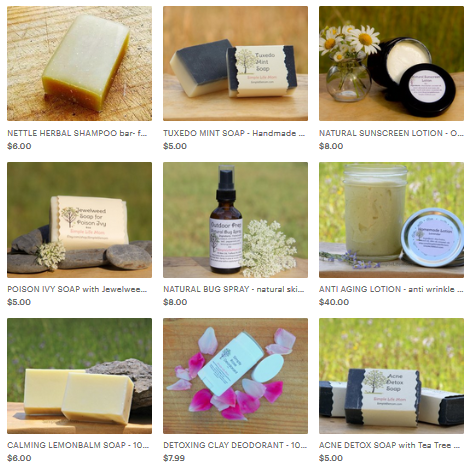 We get it naturally from the environment, from our baking pans and utensils, in our lotions, deodorants, and in double-acting baking powder (obviously in different forms). You can buy baking powder that is not double-acting and therefore aluminum free. Whole Wheat Flour – is made from whole kernel wheat and its nutrient and fiber content is higher than white breads. The gluten level is not as high as white flour so it is more dense, thus many people (including myself) will often mix wheat and white for a lighter texture. Spelt Flour – Spelt is in the wheat family, but has a higher nutrition value than wheat flour. It is a good substitute if you cannot handle wheat, but it still has gluten. Rye Flour – rye flour prohibits gluten development, so the bread is highly dense if only rye flour is used. 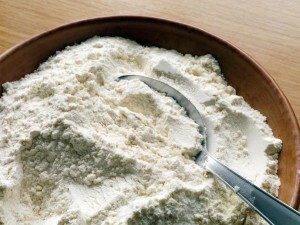 Semolina Flour – is made from duram wheat. 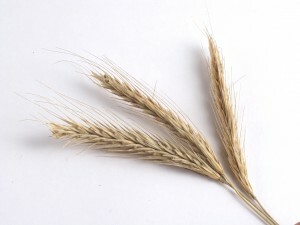 It is a very hard wheat and therefore has the highest gluten and is often used for pastas. Buckwheat Flour – Made from a seed plant instead of a grass, this flour is often used if someone has a gluten allergy because it is gluten free. Millet Flour – has low gluten, but is high in protein and other nutrients. It can be mixed with other flours for better texture while still getting the nutrients. Hard White Wheat was developed from Hard Red Wheat. 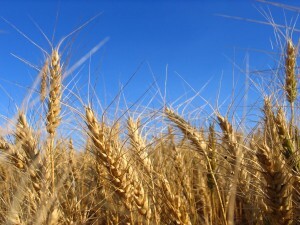 Hard Red Wheat has more of a robust, but some say bitter taste, so through natural modification (natural breeding) Hard White Wheat was developed. The bran (the hull) is lighter in color. If you want a bread that is similar to white bread you may buy in the supermarket, then you want to use hard white wheat. Spring or winter wheat refers to when the wheat was planted. Spring Wheat is planted in the spring and harvested in the Fall. Winter Wheat is planted in the Fall and is not harvested until the following Summer. Hard Red Spring Wheat is considered the best flour for making bread because of its high protein content. 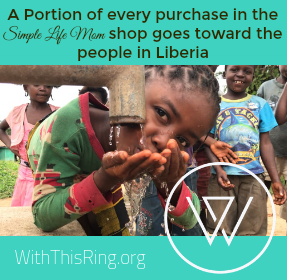 Very informative post – thank you. Great post, thank you. I’m going to check out the flour in the UK because I think it might be slightly different but I’d still like to know if we use hard red and hard white or add ascorbic acid. We have plain (all purpose), self raising, and strong (bread) flour. Then we have all the different grains and more specialised flours like pasta flour are generally imported as far as I know. Definitely a lot to think about! Thanks for laying out all the info in such a clear way. I love using different grains in my baking too but I hadn’t quite researched enough on which grains were best for what purposes. This has helped me a lot! I’m glad. It’s really helped me. Thank you so much. One book I have speaks of GMO wheats that are being tested in the US (Monsanto) and Europe. You are right that whole white flour is not a GMO but has been bred the natural way :-). I made an edit above.